On Tuesday both Khabib Nurmagomedov and Conor McGregor were among four fighters handed fines and suspensions by the Nevada State Athletic Commission. The UFC lightweight champion would receive a nine-month suspension from the commission, plus a $500,000 fine for his actions at UFC 229, where he jumped out of the cage to attack McGregor’s teammate Dillon Danis. 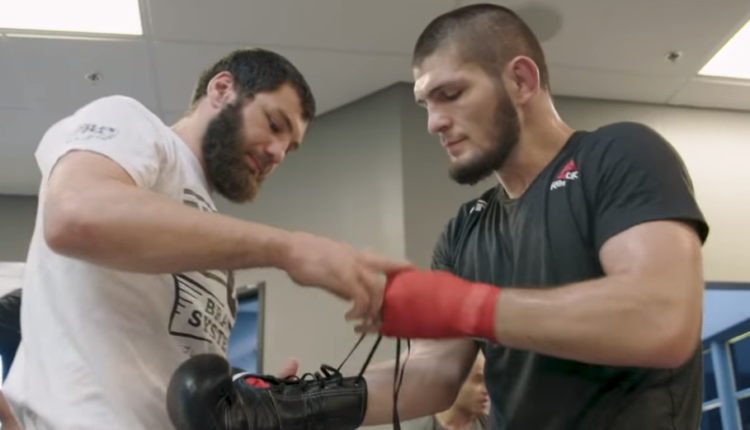 Nurmagomedov’s teammates, Abubakar Nurmagomedov and Zubaira Tukhugov would be fined $25,000 and suspended for one-year retroactive to October 6th, 2018, which is what infuriated the AKA fighter, and has now vowed to never fight in the state of Nevada again. “He’s done with Vegas for giving his brothers such harsh punishment,” Ali Abdelaziz’ Khabib’s manager told ESPN. With that being said, Nurmagomedov is likely to return in November, standing in solidarity with his suspended teammates, and in-time for the UFC’s annual return to Madison Square Garden.